I had a tin of dates and was debating on doing a sweet or date cake. Most votes was for the cake and ended up doing one. It turned out really soft and beautiful and at the end of the day, there were just few pieces left. My brother-in-law who visits us every weekend came and finished those last few pieces too. No one was actually satisfied having the cake so thought of baking it again. It turned out really well this time too. (We were actually fighting for the last piece) 🙂 The date cake story continues…. I called my brother-in-law on Wednesday and here how the conversation goes…. Me: What do you want me to bake this time? Me: Anything? Date cake/ banana walnut muffins/ upside down cake. BIL: hmmmm…. 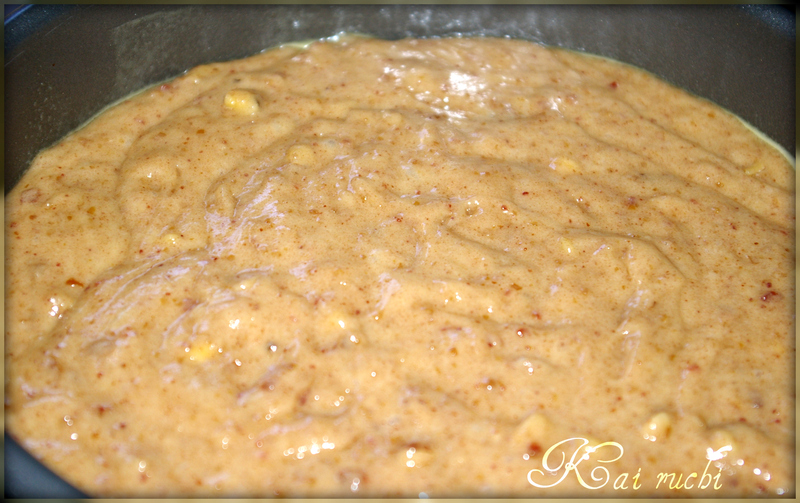 Date cake please….. Put the mixture into a 9 inch pan and bake for 35 – 40 minutes at 350°F or until a toothpick comes out clear when inserted into the cake. Really – how can you go wrong with dates & walnuts? A winning combination in my book! I never had date cake..and from the description and ingredients, I already know that is something that I’d love to try. You will for sure love it! 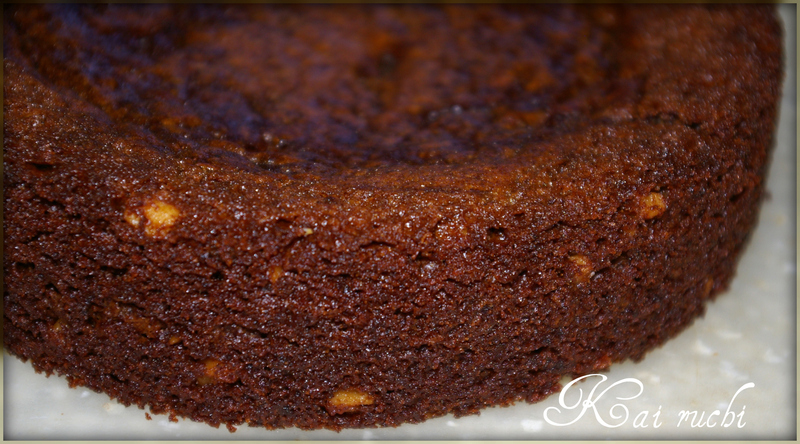 Love dates cake n this looks fabulous rich n moist..Yummy!! Looks fabulous and so moist! 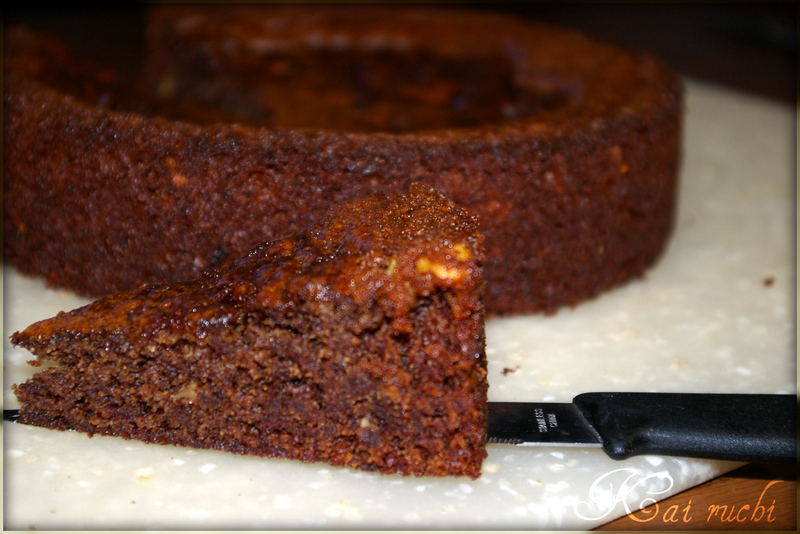 Love to try this cake…..
Oh, I love dates…and your cake looks so moist and yummy!!! I’d request it again, too! 🙂 Do come home, I shall bake it for you. It looks extremely luscious…so soft and so yum…. Oh wow – that is gorgeous!! Try it rasi, worth it! Awesome recipe!This recipe is delicious & a keeper! 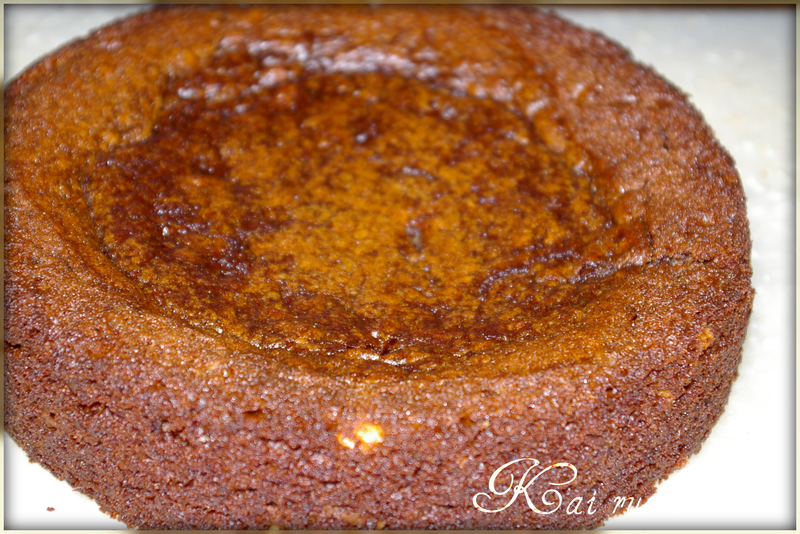 Date cake is perfect to have with coffee or tea, I love the flavor and texture. Very nice and love the bright colour of the cake. Looks so moist and nice. oh this looks fabulous and the consistency looks PERFECT! Thank you all for stopping by and writing wonderful comments!